Morehead, Ky. (February 4, 2019) –– Kentucky State Police, Post 8 Morehead announces the final traffic and criminal activity report for January 2019. During January, Post 8 personnel issued 1,421 total citations. Of those citations, 15 were for DUI, 172 were for Speeding, 120 for No Seat Belt. In addition, there were 811 Vehicle Inspections and 145 Courtesy Notices issued. Post 8 also investigated 20 Traffic Collisions, 589 Complaints, opened 59 Criminal Cases, and made 210 Criminal Arrests for the month of January. 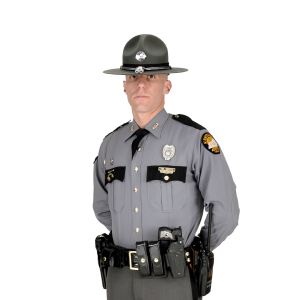 Additionally, Captain Kenneth K. Bowman, Commander of the Kentucky State Police at Morehead, announces that Troopers of the Morehead Post will be conducting Safety Checkpoints in addition to Moving Patrols throughout the Post 8 area during the entire month of February, as well as the remainder of the year. Motorists are urged to be cautious and obey reduced speeds through road construction zones. This concentrated enforcement effort will utilize Troopers and Detectives assigned to and working the Morehead Post area. Members of the Commercial Vehicle Enforcement (CVE) will also be utilized. They will focus on enforcing violations of Speeding, No Seat Belt, Child Restraint, Impaired Driving Laws, and Texting While Driving, as well as other violations of the Traffic Laws of Kentucky.